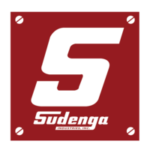 Sudenga Industries, Inc. is a leading manufacturer of bulk granular/material handling equipment for grain, feed, seed, fertilizer, food and coffee processing applications. Sudenga products are found in farm and commercial agriculture installations as well as industrial material handling applications worldwide. Founded in 1888 in George, Iowa and still located there today. Sudenga’s product list includes, portable augers, bulk feed trailers and straight trucks, feed processing and automation systems, bucket elevators, drag conveyors, leg support towers and catwalk, round tube and u-trough augers, bin unloading systems including power sweeps and zero-entry sweeps for the commercial ag market, belt conveyors and a variety of accessories for installation of complete material handling systems. Today, Sudenga Industries engineers and builds products that embody the durability of our blacksmithing roots and demonstrate the innovation that comes from decades of experience in manufacturing industry-leading agricultural equipment. Read more here.